One of the things I look forward the most when I travel is trying the local cuisine, even if it's in my own country. 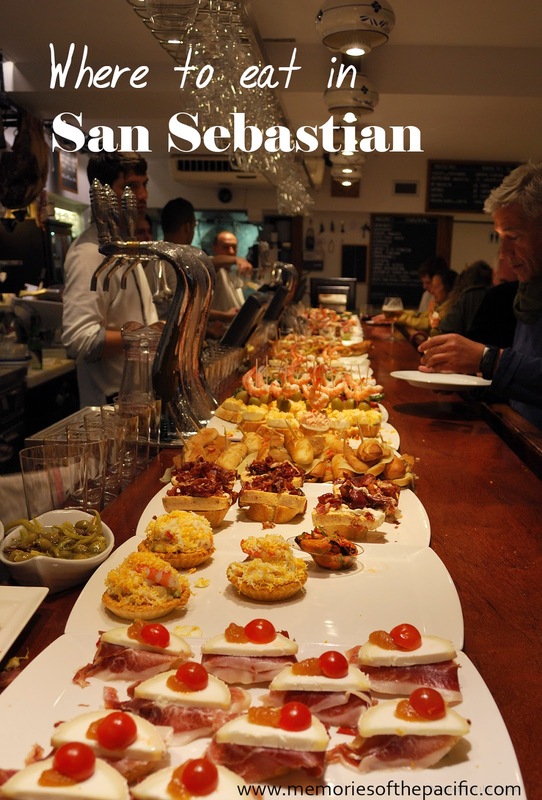 Among the best places in the world to do a food tour is San Sebastian. Famous for its bars with counters full of endless trays of pintxos (which are similar to tapas) and world renowned chefs, this city is paradise for foodies. 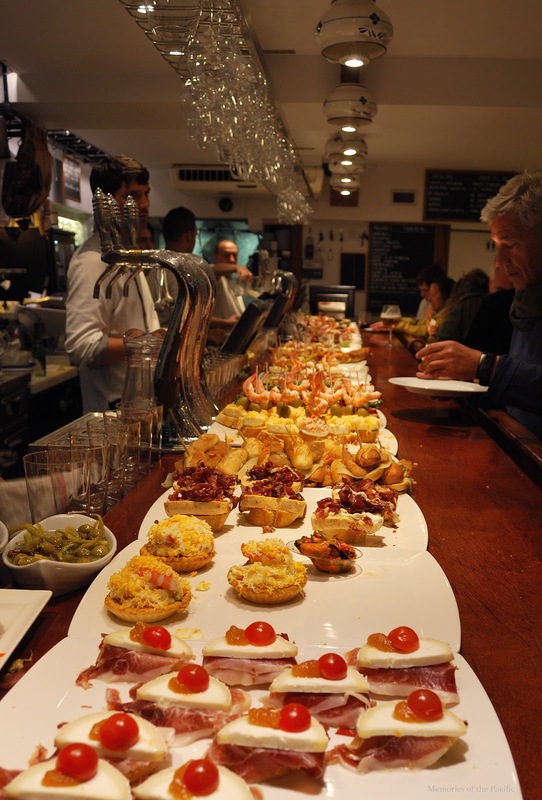 The Old Town (Parte Vieja) houses the best pintxos bars. 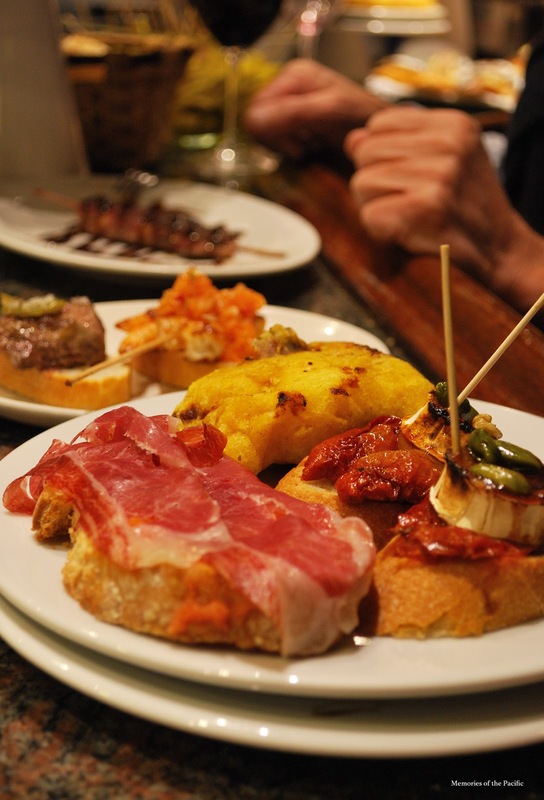 The procedure is easy: you get into a bar, ask for a drink and a plate, and grab as many pintxos as you want. Then you show it to the bartender who will charge you. Finally, enjoy. The toughest part is deciding what you want to eat. 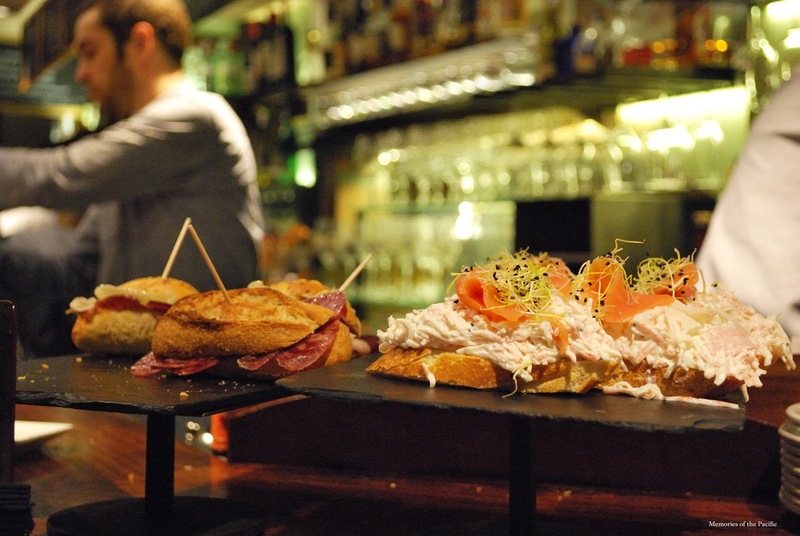 The endless plates of pintxos on the counter will make your mouth water and you won't know what to pick. The bartenders are really nice and will explain the ingredients if you have any questions. The idea is to visit a few places so if you fear you are going to get tipsy, I recommend you ask for a zurito which is a smaller glass of wine or beer. 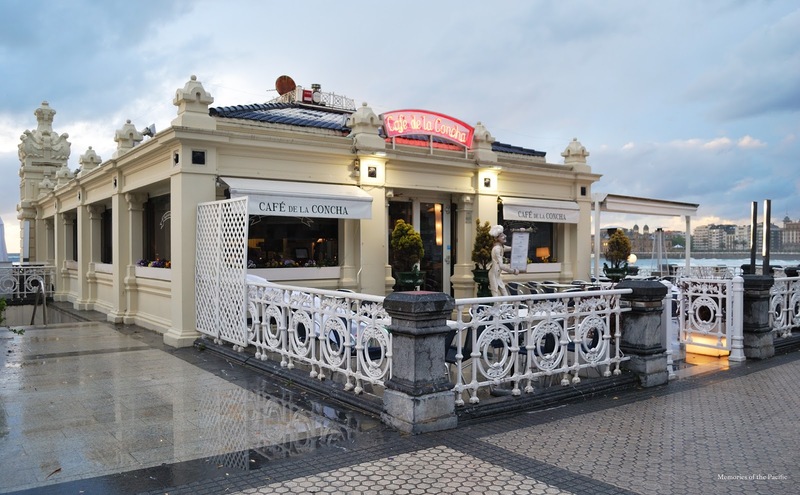 On our second night in San Sebastian we had dinner at this cafe with magnificent views. We had booked a table by the window to see the sunset at the beach while enjoying a delicious meal. 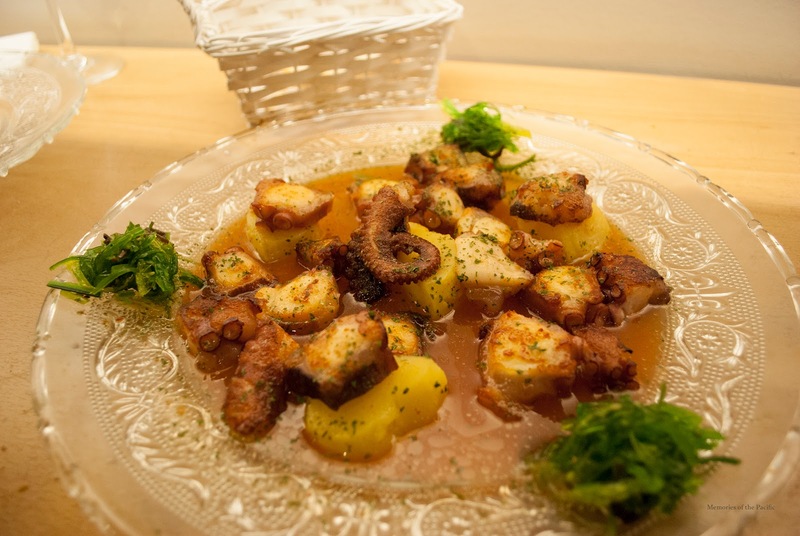 We started by sharing a plate of fried squid, a dish you must try if you visit Spain. You'll find it in any city. That was followed by a copious but equally delicious salad. I liked it so much I'm planning to do it home. 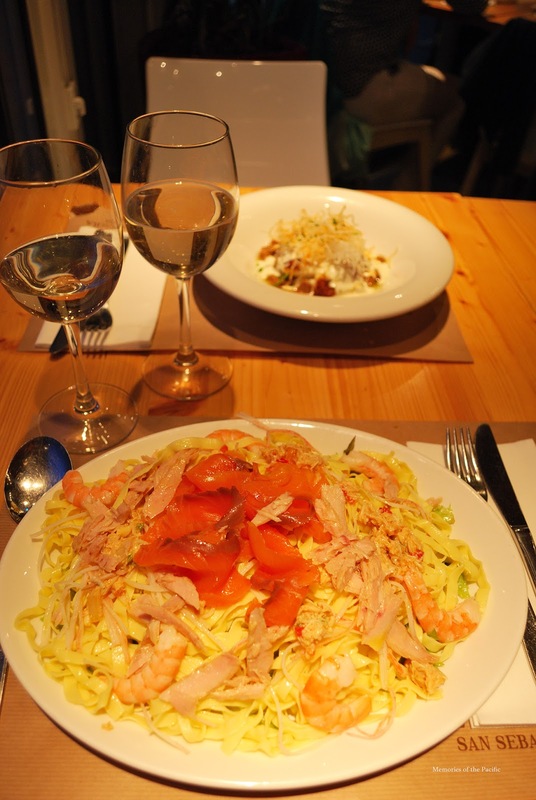 It consists of a base of lettuce, a layer of tagliatelle and then salmon, shrimp, tuna and txangurro -a type of crab that you'll find in every restaurant. Once we learnt the name we asked for txangurro everytime we saw it on a menu. 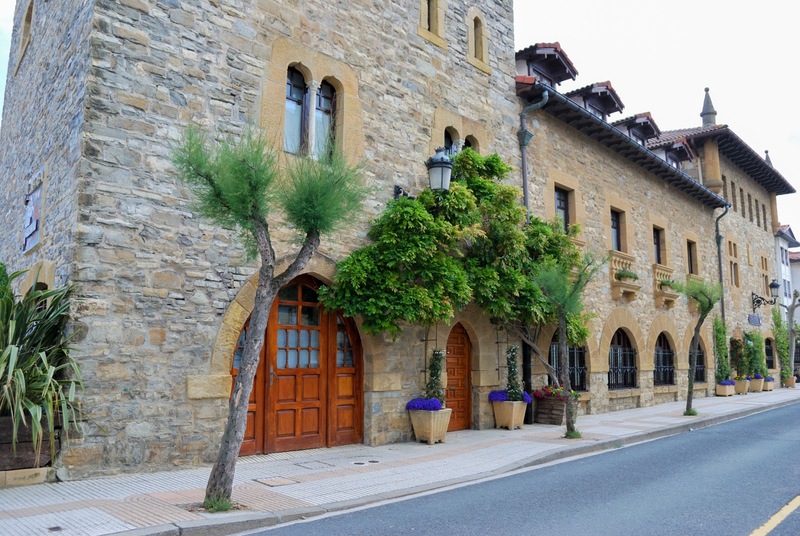 There are two charming coastal towns near San Sebastian that should add to your travel plan: Hondarribia and Zarautz. 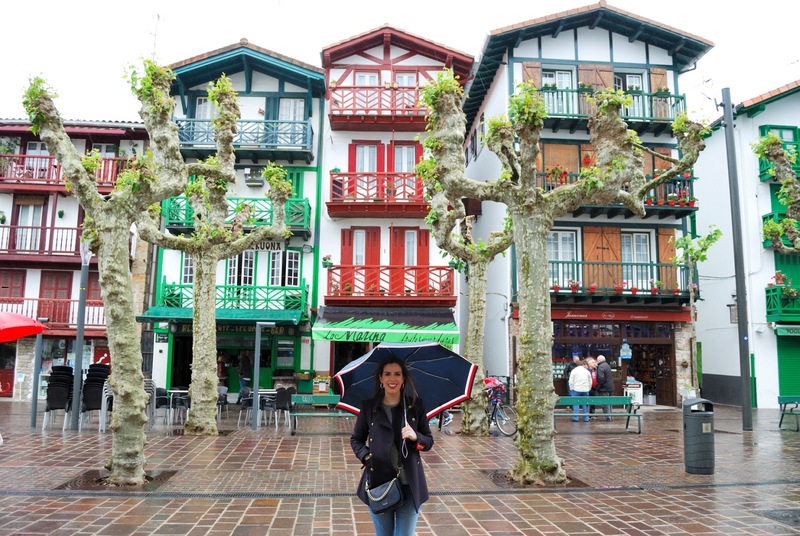 Hondarribia is a colorful fishing village that is both rich in architecture as well as in gastronomy. It’s a feast for the eyes and also for the stomach. 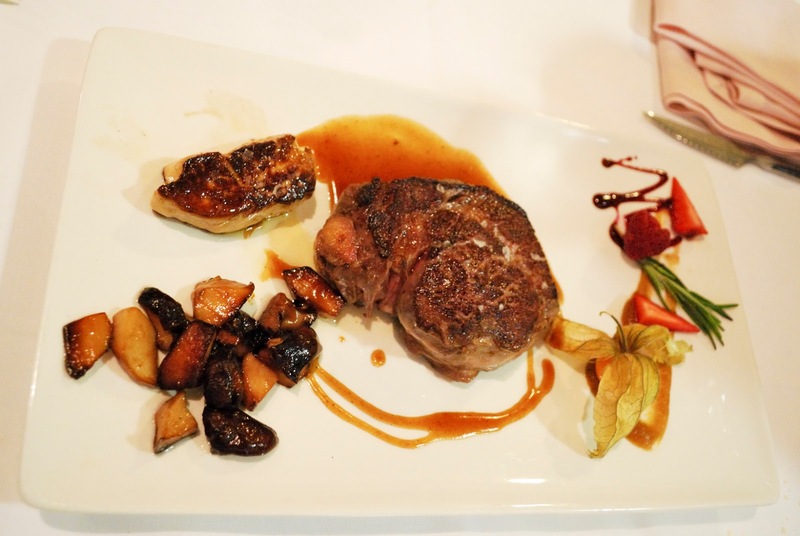 After reading great reviews on TripAdvisor we had booked a table at Gastroteka Danontzat. A truly gourmet experience where we felt at home. 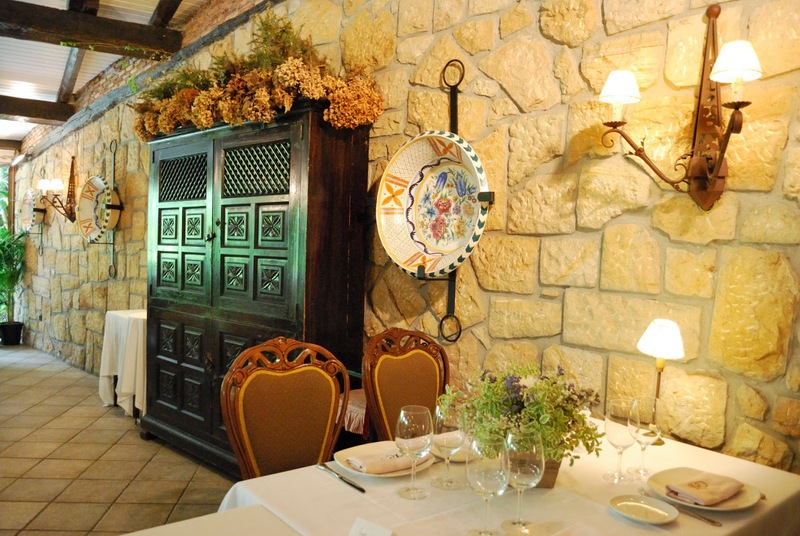 Danotzat is a basque word that means "for everyone" which is the work philosophy of this restaurant. Gorka, is the friendly man who runs this business. He took the time to explain to us the characteristics and facts behind every dish we had and he does that with every single costumer. 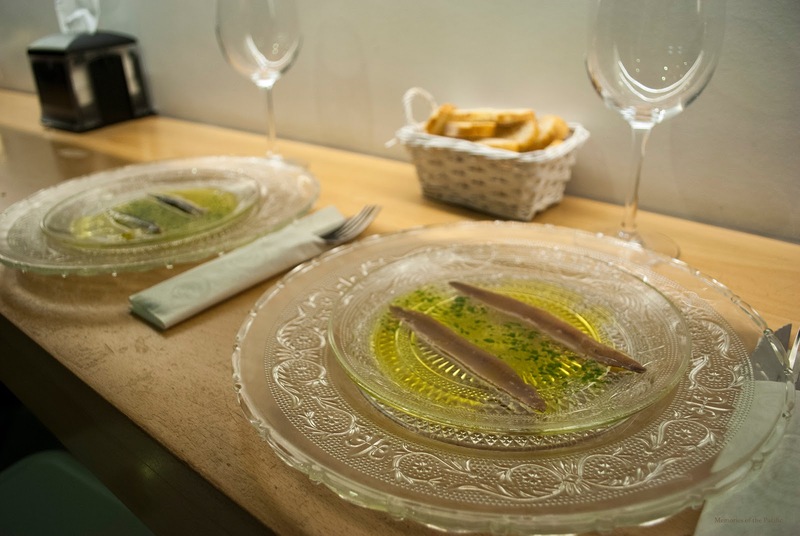 We started with sardines and anchovies, two delicacies that melted in our mouths. 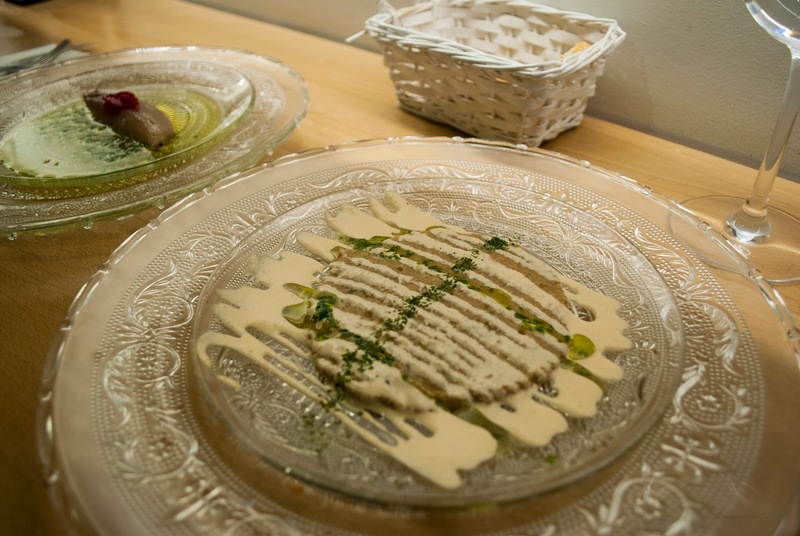 We kept asking for bread to dip it on the delicious olive oil. Next we had txangurro spread, another delight. The next one was ox tongue. 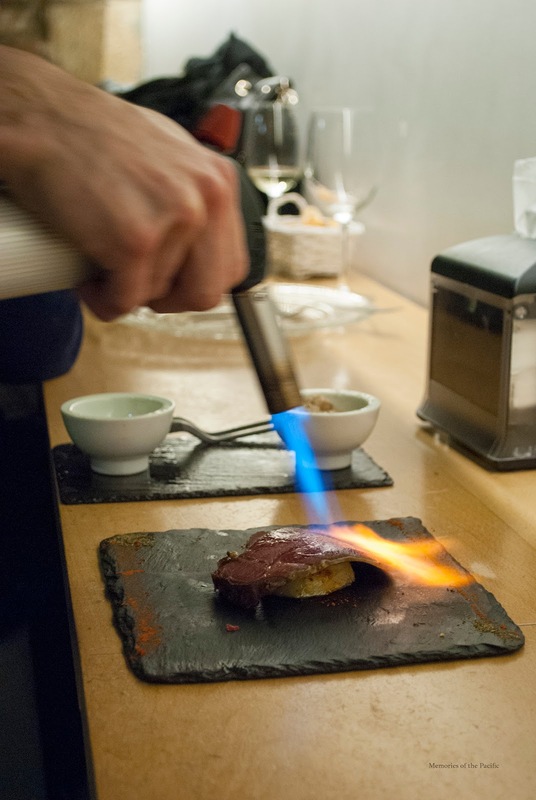 A dish that is finished on the table with a blowtorch. I know the name may not sound very appealing but the taste reminds you of ham. The best thing to do is not to think about what it is and just enjoy it because it's delicious. The last dish before dessert was octopus with potatoes and algae. Both my husband and I agreed that this was our favorite. Octopus is not the easiest to cook. Some people cook it too hard, others too soft. This one was the best we've ever had (sorry mom). It was crunchy on the outside and soft on the inside. How do they cook it? I have no idea. The yummy sauce is also a well kept secret. 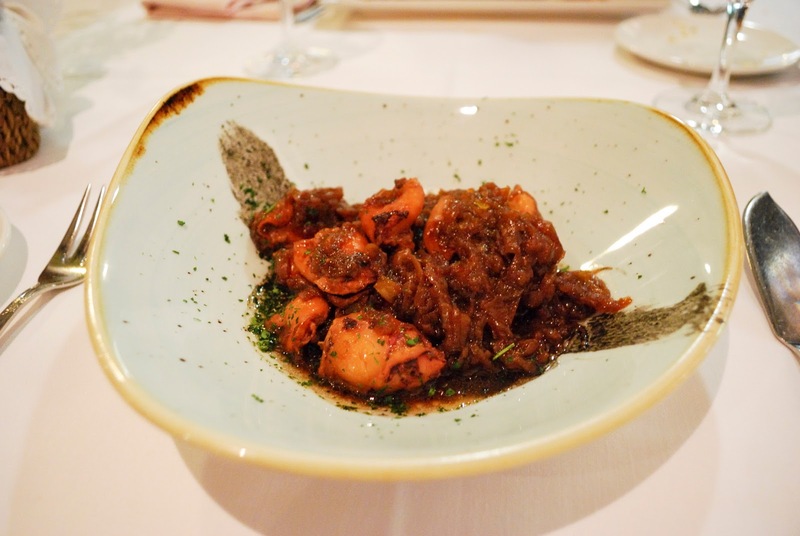 All dishes were paired with txakoli, the typical wine of the region. 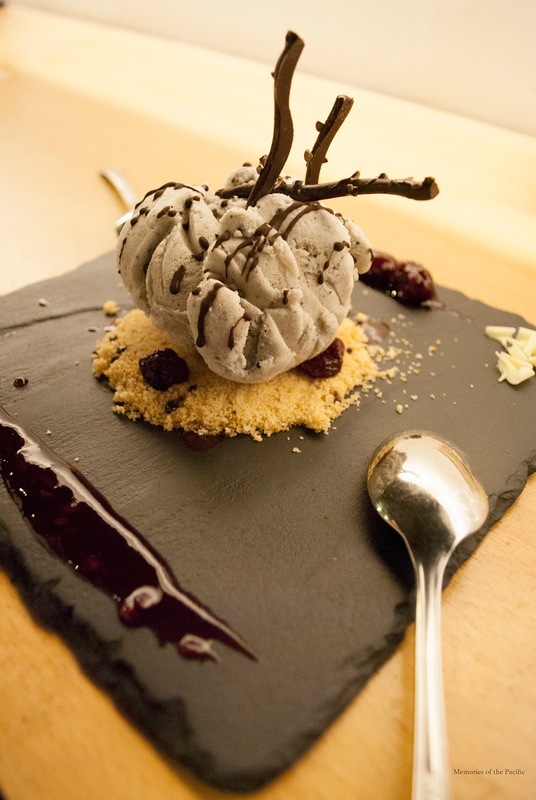 Dessert was something we had never tried before: sesame ice-cream. Too avant-garde for us. It was really good but I expect ice-cream to be sweet and this was not. The presentation is amazing though. 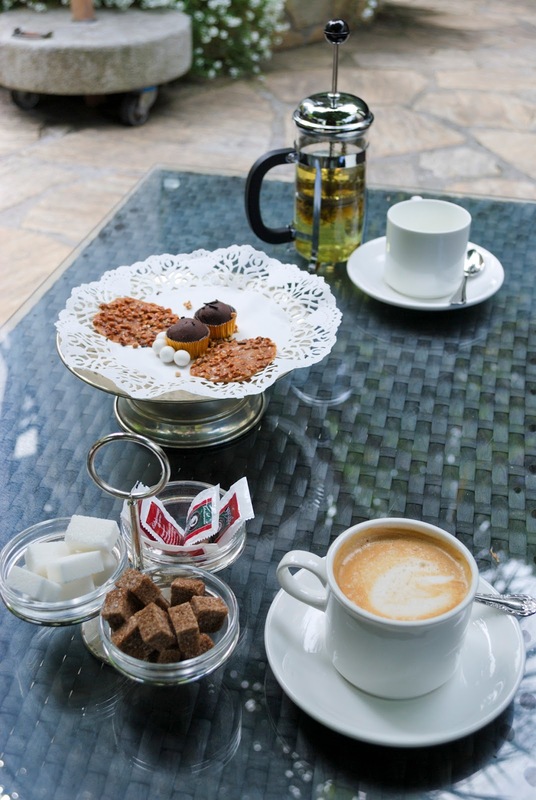 After this unforgettable culinary experience we went to Parador El Emperador for coffee. Here we felt like we were back in Medieval times. 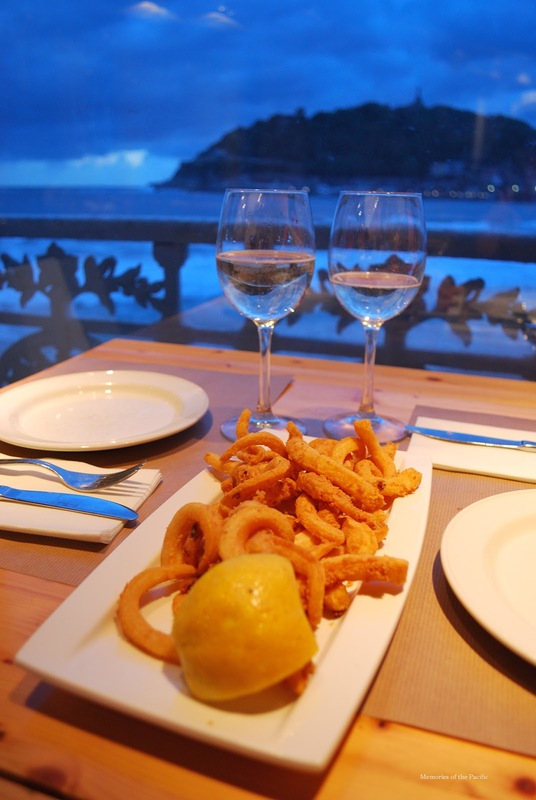 Zarautz is another seaside town that is home to more culinary gems and breath-taking views of the Atlantic Ocean. 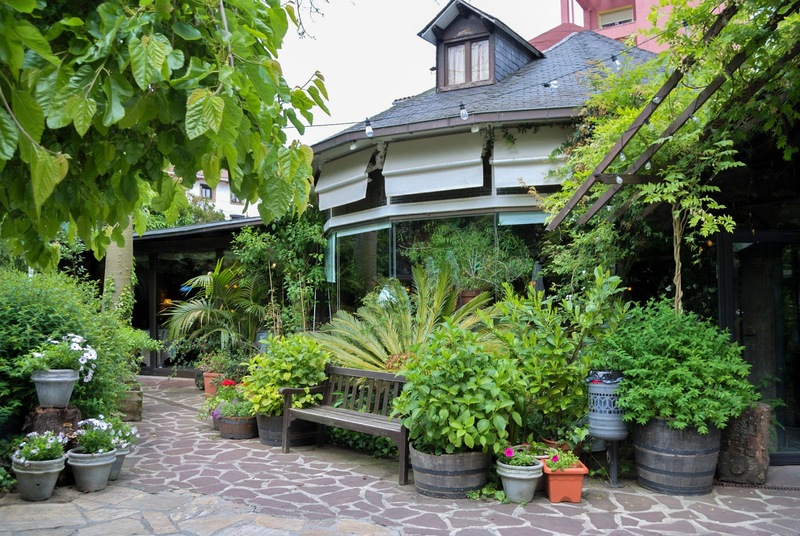 Karlos Arguiñano is one of the most famous Spanish chefs and has a castle that is restaurant and hotel in Zarautz. 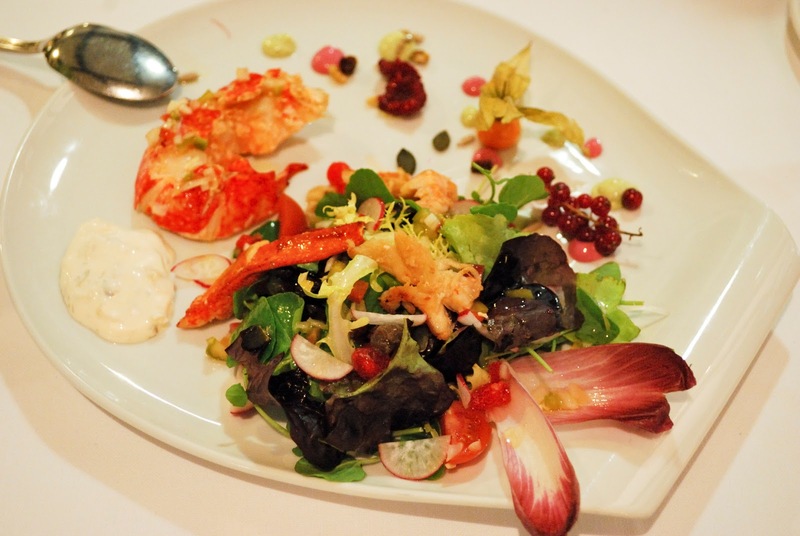 It's run by 5 of his children and serves dishes made with fresh seasonal ingredients. This stately manor is one of the main tourist attractions in this town and has amazing sea views. We tried booking a table but unfortunately it was full. However, since he is one of my favorite chefs (I have one of his cook books that I use regularly) I dare to recommend this place without having tried it. 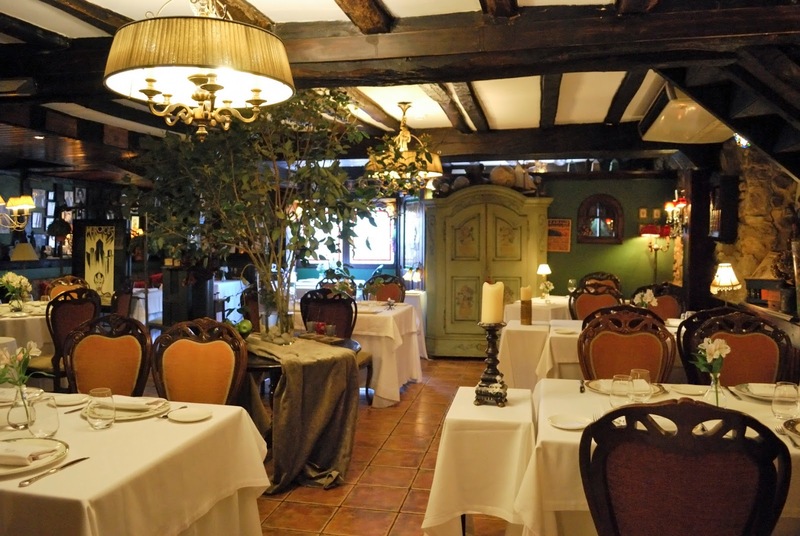 This is a very special restaurant with a mixture of rustic and fairy tale decor. 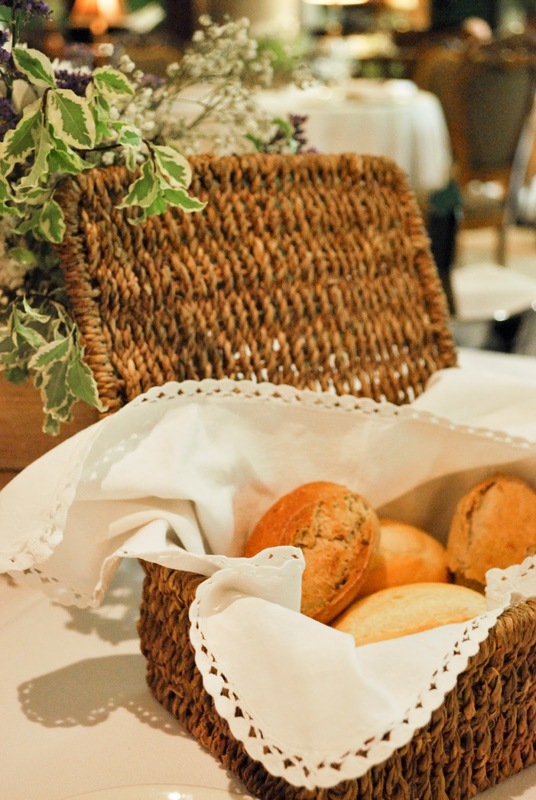 Serving amazing food since 1962, this place is a feast to the senses. 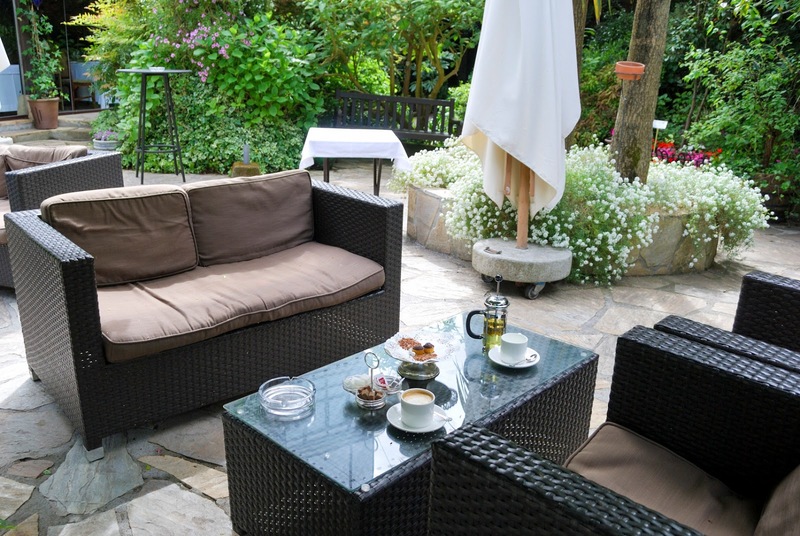 Their outdoor area is like an oasis in the center of Zarautz and is a must during summer but be sure to book in advance because weddings are held there. 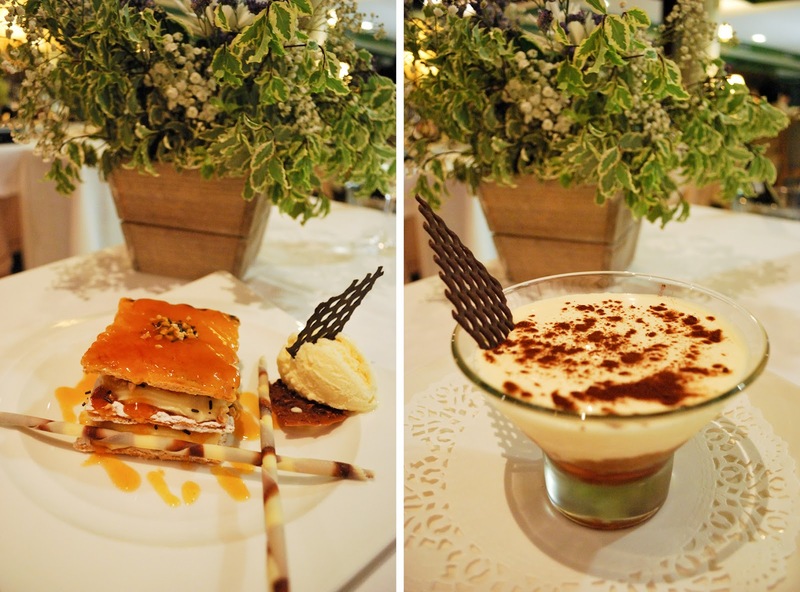 The taste and presetantion of the food and the service were exquisite. It's slightly expensive but totally worth it. 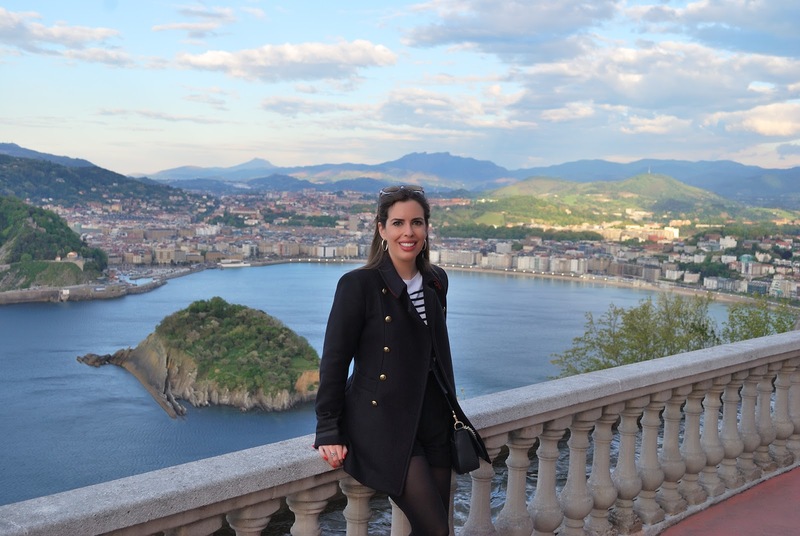 This post is an update of The Comple Travel Guide to San Sebastian and A Day in Hondarribia. I recommend you check those out if you are planning a trip to this lovely city. What's your favorite cuisine? Would you travel somewhere just for their food? Wow, I don't know which was more amazing--the photos of the food or those of the restaurants themselves. 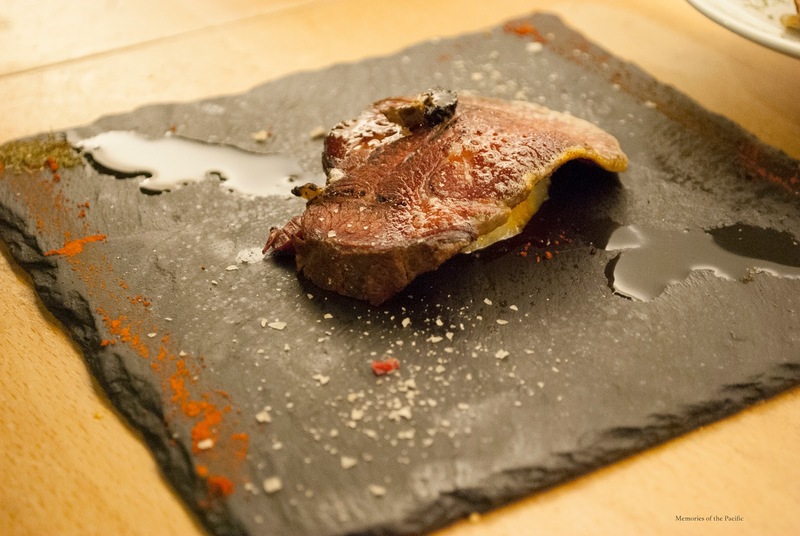 I love Basque cuisine; it's amazing how each region can put its own twist on things. Incredible photos! Like I could smell the food right off the page. 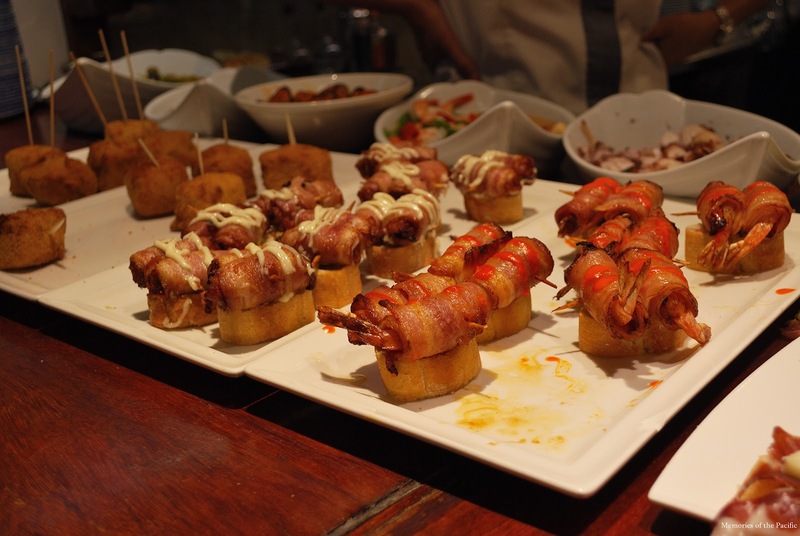 These tapas look amazing! 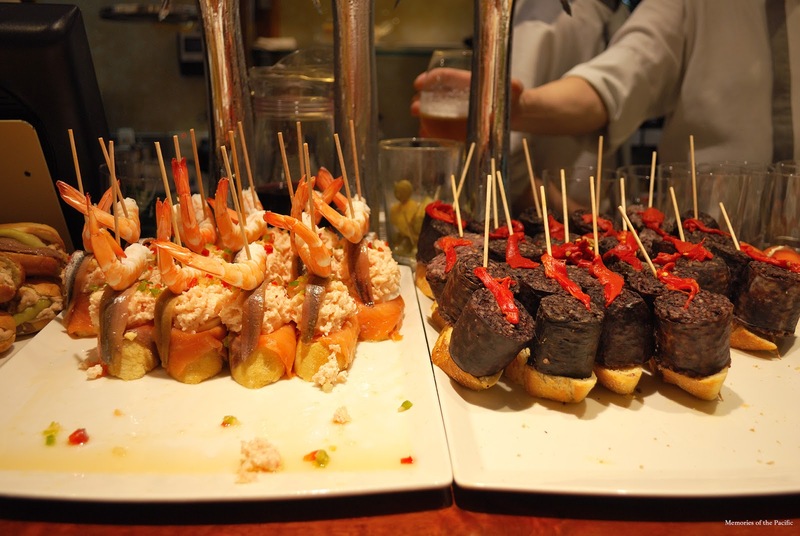 We were in Spain last year and we ate our weight in delicious food like this! You are so lucky! Wow! 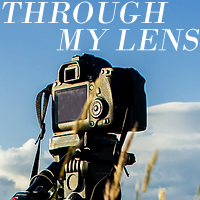 Amazing food and photos. I was getting hungry just looking at them! I definitely like to travel to eat. Sightseeing is important but eating is equally essential in my travel book. It's one of the ways to experience the culture and there's nothing better than tasting authentic food that I wouldn't normally experience back home. 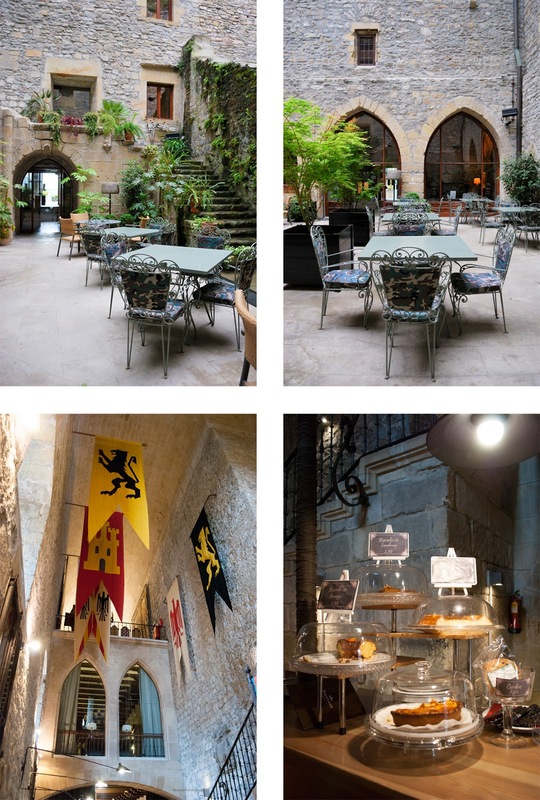 What a beautiful place to visit, and the food looks divine! All the food looks amazing! One of my favorite things about traveling too is eating and trying new cuisine. I always try to eat in local restaurants when I'm traveling. That food looks delicious! Such stunning food! I love the art of it all and wish I could taste it! Wow this sounds like an amazing and delicious trip! 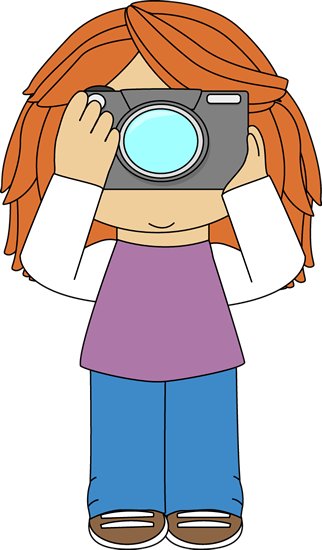 Oh my word - these photos are amazing~! Every single picture looks incredible - especially the food. Adding this place and all your spots to my list of places I need to go! All these dishes look awesome. What a wonderful, tasty trip! 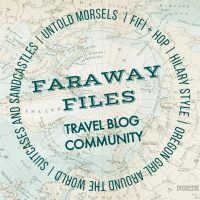 I love reliving my trips through memories of what I ate! This place is gorgeous, I mean, who could resist that beautiful view of the island while munching on those delicious food and a good glass of wine.